These chairs are something you do not get to see every day. Collection titled “The Hidden Chairs” by French design studio Ibride provides this beautiful, intriguing animated optical illusion you see on your right. It blew my mind first time I saw it! 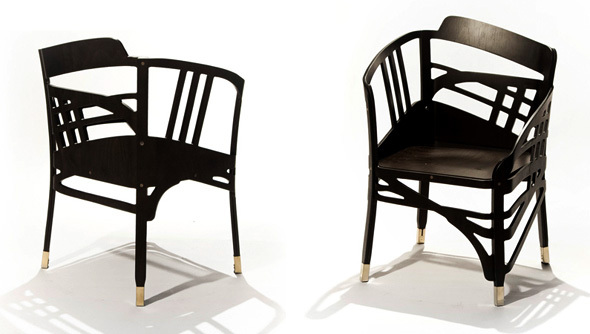 All of the chairs from mentioned collection look irregular and warped, but when you see them from a specific angle, their shape will remind you of the classic design. When you see each of the chairs from a specific angle, you might easily mistake the right way to sit on them. Gallery below depicts this perfectly! 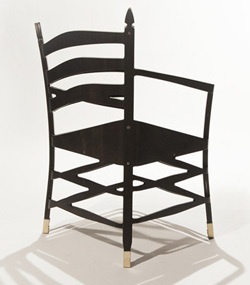 The Hidden Chairs line includes three beech plywood chairs that follow three historical designs: “The Hidden Shaker”, “The Hidden Terence” and finally “The Hidden Wagner”. Paris-based design trio Ibride comprises graphic designer Rachel Convers, designer Benoît Convers and editor Carine Jannin. The furniture was shown at Maison&Objet design fair in Paris, which finished last week. Let’s see if they manage to trick you as well! The Hidden Shaker is inspired by the austere furniture of the Shaker religious movement. 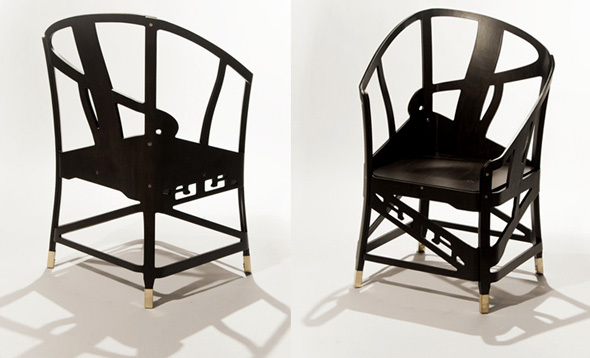 The Hidden Terence references a typical Ming dynasty Chinese armchair with a horseshoe-shaped back. Well, the guy in the video looks like he is comfortable sitting in the chair, but I have my doubts! I FINALLY see it. Thank goodness. Call the men in white coats and say that I don’t need them now. Not alot of illusions get me to do this l, but I have to say it. MIND BLOW! 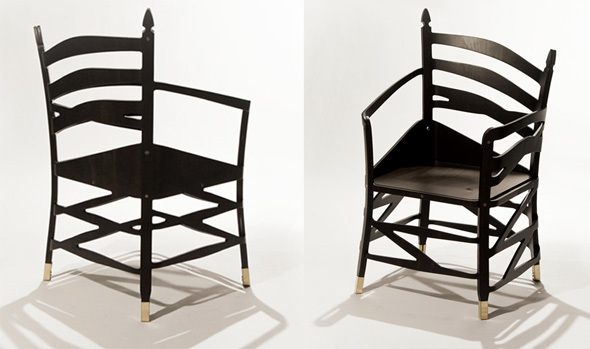 The pictures of the chairs are somewhat interesting, but it is the animated gif that is the really amazing part. It’s hard to tell what is going on with the chair until the guy actually sits in it. Before then, it just appears to be very ambiguous. I want one of these! This is so cool! 1st of all thank you for a wonderful illusion friend. it’s back to being normal. Is that normal? I just love these illusions!! The shadow below the chair totally gives it away! The real chair is the number two chair.